PlaSmart has generously offered their wonderful invention of PlasmaBike to one of our lucky readers. 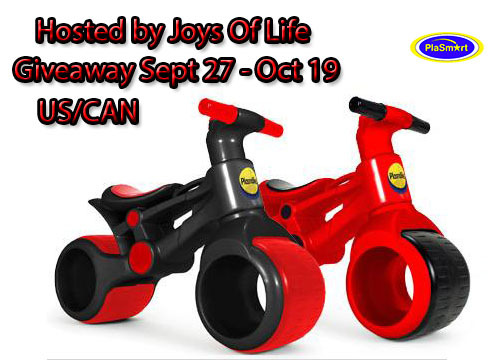 Enter for a chance to win this amazing Balancing Bike for your kid by PlaSmart! Allow the rafflecopter below to load. This giveaway is open to US/CAN entrants. You must be 18+ to enter. This giveaway runs from September 27 - October 19. Disclosure: I was not compensated for this post. All views, opinions and impressions are my own and may differ to than that of yours. Teddy Out Ready is not responsible for the prize shipment.